‪#‎MAVEN‬ is now fully into its Science Phase at ‪#‎Mars‬ and the scientists have been releasing exciting results, not the least of which were recent findings from the Comet Siding Spring encounter. The Imaging Ultraviolet Spectrometer was able to observe intense emissions from magnesium and iron ions in the atmosphere in the aftermath of the comet encounter. TheNeutral Gas and Ion Mass Spectrometer directly sampled and determined the composition of comet dust in Mars’ atmosphere, something that has never been done before. Our Solar Energetic Particle instrument observed significant solar activity both in the form of flares and coronal mass ejections from the Sun to Mars. We also generated a map of Mars’ ozone layer in the lower atmosphere. Finally, we’ve been able to provide a view of the escaping atmosphere of Mars showing the loss of atomic oxygen, atomic carbon, and atomic hydrogen. Great science with much more to come! Final pre-Science Phase checkouts of the MAVEN system also included a full demonstration of the Electra Relay capability between MAVEN and the Curiosity rover on the surface of Mars. MAVEN relayed the image shown here from Curiosity’s Navigation Camera to Earth on November 6th. 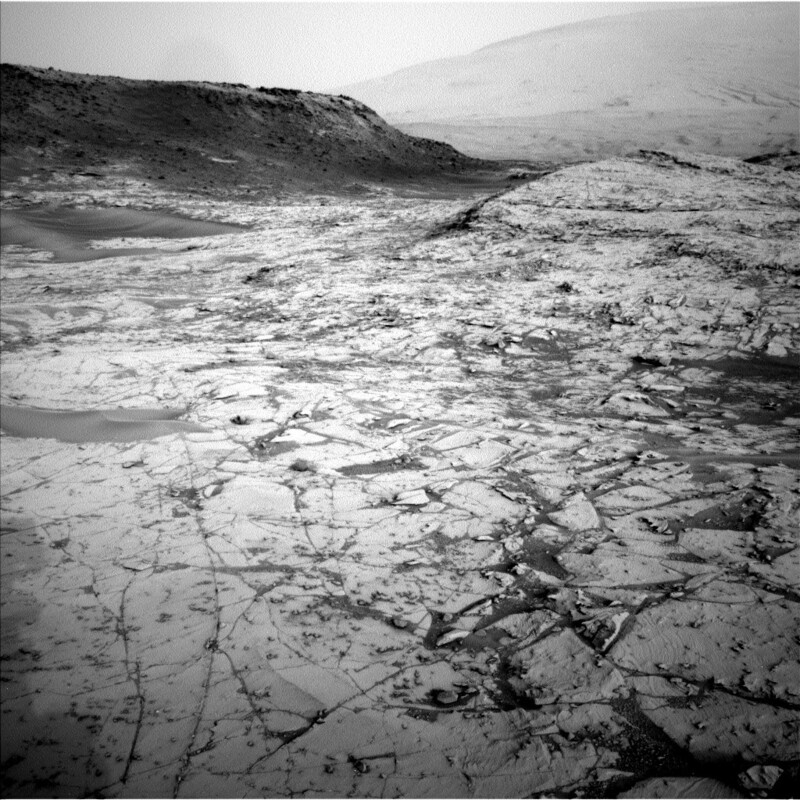 This image shows part of the “Pahrump Hills” outcrop and was taken at Mars on October 23rd.